20 Hanover Square was refurbished as part of the larger Hanover Square Masterplan including Cross Rail expansion. 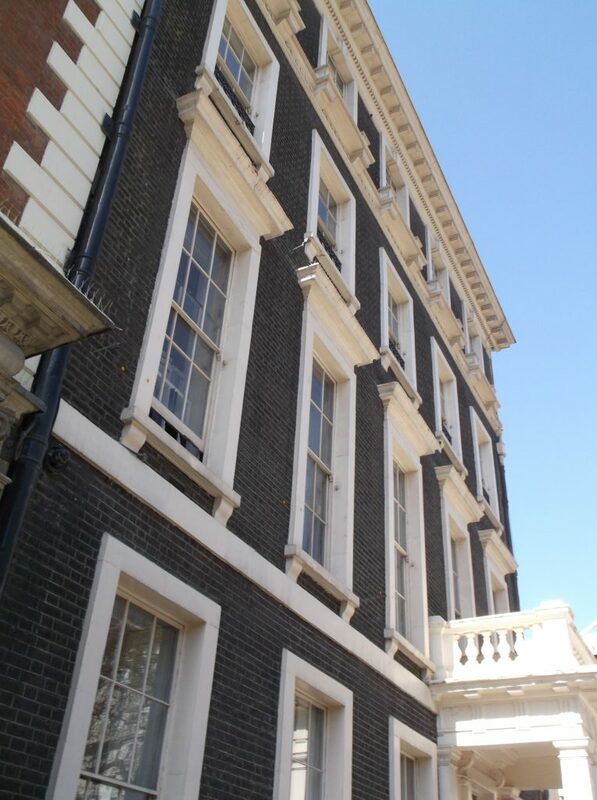 It was proposed to be ‘sensitively refurbished to provide high-quality office accommodation’ and with a new restaurant to the rear of the property. The property is Grade II* listed with many fine interior architectural features noted within the listing description. H+R carried out a range of condition and heritage based surveys. The property had been converted and re-ordered several times over the years and our surveys had a focus on establishing at which stage the differing features originated from. The surveys undertaken covered the main cantilevered stone staircase with iron balustrade, the timber secondary staircase, the iron spiral staircase down to the basement, the stone slab basement floor, the secondary timbers and historic paint analysis. In addition, H+R undertook wide ranging investigative consultancy covering the condition of structural timbers and the problems of penetrating damp and retained moisture. The surveys undertaken helped inform the design team and conservation officers about the historical nature and value of different features within the building. This helped guide what the conservation priorities were within the property. A sympathetic repair schedule was also formed as part of the scope of works carried out by H+R to help preserve as much of the historic fabric as possible and yet at the same time to provide a commercially attractive scheme to the client.